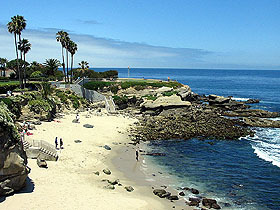 San Diego County is the southern most county in California, encompassing an area about the size of the state of Connecticut. Nearly three million people live here with one-half under 24 years of age, and another million from 25-44. The median age is 33. 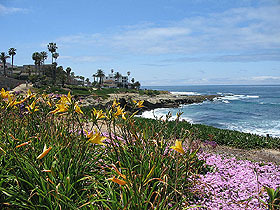 San Diego County is comprised of 18 incorporated cities with the largest being City of San Diego. Five elected supervisors govern the County and administrative officer appointed by th Board of Supervisors. 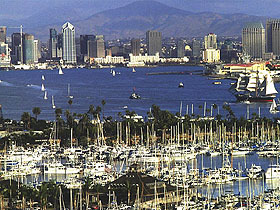 The City of San Diego is the seventh largest city in the nation. San Diego's airport is located three miles from downtown, and within a mile of beautiful San Diego Bay. It's one of the world's largest natural deep-water harbors. The city has shown tremendous growth in the past fifty years and is gearing up for an estimated influx of one million people in the next thirty years. Local civic leaders and government officials are committed to creating a larger city without losing the quality of life that draws people here. On the horizon are plans to extend the bay front for tourism throughout the South Bay, and into the North Embarcadero; modernizing the airport; building a new football stadium; and creating a series of people oriented villages based more on walk around pedestrian traffic rather than cars. Roll mouse over thumbnail photos below to view. 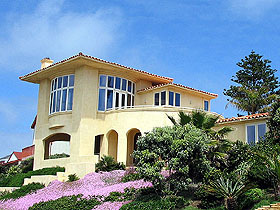 One of San Diego's original neighborhoods, the Point is known for its fabulous city , bay, and ocean views. The Cabrillo National Cemetery celebrate both the birth of our city, and thousands who have fallen defending it. Neighborhoods include La Playa, Loma Portal, Fleetridge, Roseville, and the Wooded Area ranging from single family homes to elegant Spanish style casas. The San Diego Yacht Club has trained thousands of young sailors (including America's Cup winner Dennis Connor) and Point Loma Nazerne University teaches thousands of young people each year from its ocean view campus. One of San Diego's premier ocean view communities, Ocean Beach is known for its row of antique stores, breakfast restaurants and a quarter mile long fishing pier where surfers and fisherman meet. 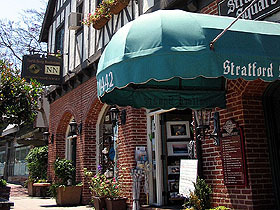 The community has a decades-long history as one of San Diego's most colorful, character-filled beach towns. 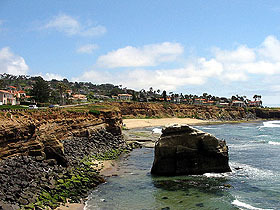 Neighborhoods include Sunset Cliffs, and Upper Ocean Beach with many homes built on hills and offer whitewater, and mountain views. Welcome to the coast! It's what makes San Diego such a world-class destination. With 70 miles of coastline, about a dozen communities work their way from the border to Camp Pendleton west of Interstate 5. The coast is where California cool begin. From its breaking waves, it speaks to all that is primordial yet hip and trendy. The Pacific Ocean. 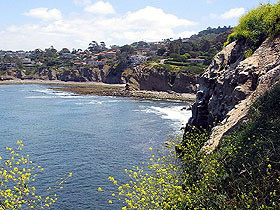 The cliffs. Ocean and bay view homes. Fabulous sunsets. World-class surfers and triathletes. The world's most beautiful women. And the world's most concentrated city of scientists and doctors. Metropolitan San Diego is the heart of the County with over 40% of its population and the bulk of its history, tradition and culture. There's dozens of different communities and people who live here and give the city its distinctive blend of culture, art, food, and style. Home to the historic Hotel del Coronado and the Naval Air Station, Coronado Island is a town with both history and character. Thousands of luxurious condos and massive two-story homes dot this privileged community. Its low crime rate and top-ranked school district are just two reasons why professional families move here. And popping over the Coronado Bridge toward downtown is exhilarating! Just up the hills from Interstate 5 east of Sea World sits Bay Park. With its cul-de-sacs, vistas and views of Mission Bay, this tightly knit community retains much of its historical ethnic flavor. 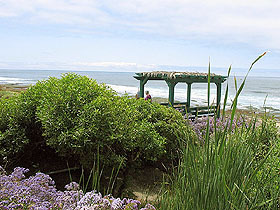 Adjacent to the University of San Diego and blessed with both churches and parochial schools, Bay Park is upper middle class, and very down to earth. Just north of where the San Diego River empties into the ocean, Mission Beach epitomizes California cool-a place where world-class volleyball players and surfers mingle at water's edge. 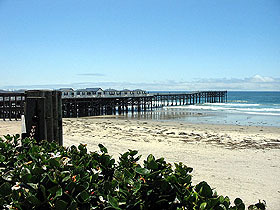 Mission Beach and the adjacent Mission Bay feature a mix of condos, single-family houses, and vacation rentals. It is truly a young professional's paradise where fitness rules. 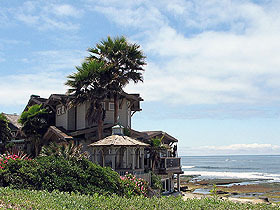 With its well-kept bungalows and thousands of condos and rental units, Pacific Beach is where the surf meets the graduates. Pacific Beach engulfs an eclectic mix of nightspots, restaurants, and mom and pop shops where empty nesters and singles congregate. At the southern end stands Crown Point, an idyllic neighborhood that surrounds tranquil Mission Bay. Crown Point has both condos and homes and attracts a lively seniors market. Named "the most desirable place to live in the world" (2002 Robb Report), La Jolla is where million dollar homes are the rule rather than the exception. This internationally recognized community houses top-drawer boutiques, jewelry stores, art galleries, restaurants and hotels, many with stunning ocean views. In addition to serving as a finance center, the North Torrey Pines area is home to the prestigious Salk Institute, Scripps Hospital and the University of California at San Diego. San Diego's dynamic downtown includes eight separate neighborhoods spread over 1,500 acres. Currently, 25,000 people live downtown. 50,000 more expected in the next two decades. New housing stock is being built to provide a wide array of options for persons of all income levels. Here, you'll find single room occupancy buildings (SRO's) lofts, two-bedroom units and multi-million dollar ocean view condos. This new housing is being balanced with new infrastructure, amenities, and job creation. The Key commercial downtown neighborhood, Columbia includes Broadway Pier; the waterfront; federal and county courthouses; the cruise ship terminal; the Museum of Contemporary Art and the historic Santa Fe Depot train station. Seven new high-rise office and residential buildings are being constructed on or near historic Pacific Highway just west of Broadway. The physical center and financial hub of the city, the Core features high-line hotels, Horton Plaza Shopping Center, the City Concourse and Civic Theatre. Currently being built is the "Smart Corner," a two-structure, 299 unit, 10-story residential tower and adjacent 5-story office building that will incorporate San Diego Transit and Trolley stops. One of San Diego's oldest and most distinguished residential neighborhoods, The Hill and its Victorian style homes has led the revitalization of downtown. Seventy-five years ago, only the famed El Cortez Hotel offered enticing views from the Pacific Ocean to Balboa Park to the San Diego Bay. Today, 275 new condos and 400 apartments are nearing completion-many which will also offer panoramas. East Village is the County's most rapidly developing neighborhood. Anchored by Petco Park, this former blighted area is being transformed into a vibrant community. Nearly 2,500 condos and 1,300 apartment units are being constructed here. East Village is the home of the Park to Bay Link, where Twelfth Avenue is being upgraded into Park Boulevard. The Main Library will be placed along this paseo linking the historic park and world-famous zoo to the Embarcadero. 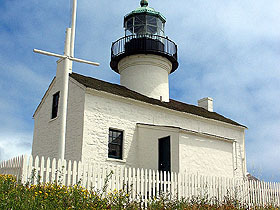 San Diego began here in the 1870's. Today, it's the hottest restaurant and nightlife section in town. This historic neighborhood is gearing up for several mixed-use, low-slung sites which will add 440 condos and apartments as well as a new Hard Rock Hotel at the ceremonial Fifth Avenue entrance to the area. This 15-block area is where redevelopment began two decades ago. There are limited condos and apartments available amid the activity of the stunning Horton Plaza shopping mall at its center. Comparable to Mulberry Street in NYC or North Beach in San Francisco, this neighborhood originally was home to our tuna fishing industry and its workers. Today, revitalized India Street and its great Italian restaurants are surrounded by a dozen new, small-unit condos, town houses and apartment buildings. After an espresso, walk two blocks to the bay and you're staring at the world-famous 140 year-old clipper ship Star of India. Perhaps downtown's most beautiful and desirable neighborhood, the Marina is close to San Diego Bay, the Embarcadero, several waterfront hotels, the boardwalk, Seaport Village, and the Convention Center. Here you'll find luxury high-rise and mid-rise condos. Today, the new Children's Museum Tower, a 35-story, 182-unit luxury condo rising 450 feet.